Who...We want our patients and their referrals to know that we strive to understand your individual needs as a whole person. Our goal is to show our incredible knowledge in our field with confidence and wisdom. We strive to do this in manner that people can be capable of understanding their disease and treatment in common terms. How...We believe in thorough examinations and shared decision making with our patients and referring doctors. This will allow you to personally discover the best solutions to health. Your vision of a successful treatment outcome as well as any objections and challenges you have need to be clear to us, so that we may solve them to meet your needs. Team...Our staff and doctor will treat you with empathy and respect by developing a forthright personalized program of treatment alternatives to re-gain the confidence that good oral health can give. This is a team approach between you, your general dentist, and our practice with a mutually dependent process that focuses on the best interest of YOU-the individual patient. 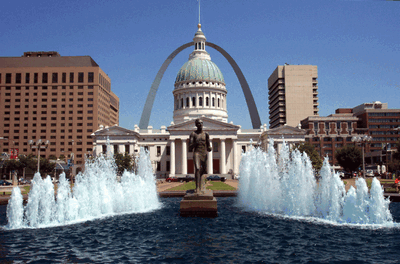 St. Louis, Periodontist, Drs. Duello, Albair & Slaven Per are dedicated to excellence in Periodontal Dentistry such as implants, periodontal disease, gum disease and oral plastic surgery.